How child care centre help boost emotional development in children? Here are some ways of how child care centres improve your child's emotional development. Did you know, integrating your kid in Childcare will help them to discover their role in society? Yes, they understand their role at home, but how will they know what is expected of them outside of their family units? Attending child care will help them recognize that they are an integral part of the society outside their home. 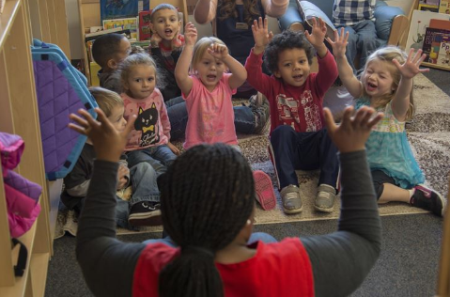 By offering an opportunity for your child to participate in child care, you are providing them a way to connect with different people other than their family members at a young age. Doing this will make your kid’s transition to kindergarten a lot easier. There are so many reasons why you should enroll your kid in childcare centres where enhancing their emotional wellbeing is just one of them. Join up your child in the best childcare centres and give them a bright future.